1. Fan DS, Lai C, Lau HH, Cheung EY, Lam DS. 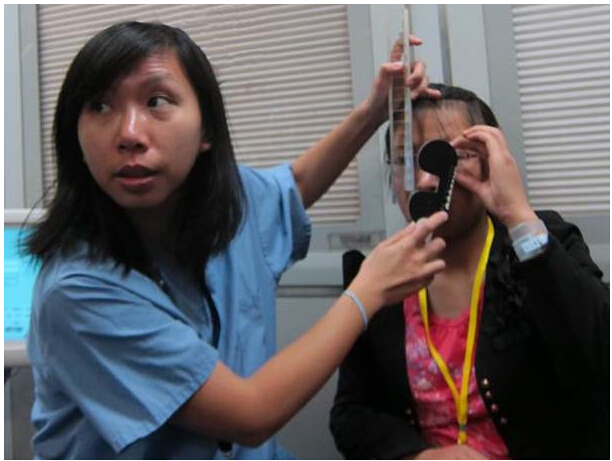 Change in vision disorders among Hong Kong preschoolers in 10 years. Clin Experiment Ophthalmol. 2011 Jul;39(5):398-403. 2. Lam DS and Zhao J et al. Adjunctive effect of acupuncture to refractive correction on anisometropic amblyopia: one-year results of a randomized crossover trial. Ophthalmology. 2011 Aug;118(8):1501-11. 3. Zhao J and Lam DS et al. Randomized controlled trial of patching vs acupuncture for anisometropic amblyopia in children aged 7 to 12 years. Arch Ophthalmol. 2010 Dec;128(12):1510-7. 5. Robert F. Hess, Benjamin Thompson. "New insights into amblyopia: binocular therapy and noninvasive brain stimulation".Journal of AAPOS. 2013 17 (1). 89–93.